Sri Lanka will be touring South Africa this month, as the Proteas will host the Lions in 2 Tests, 5 ODIs and 2 T20s. Let’s take a closer look at the Test numbers between these two sides. Alongside the infamous Rebel Tour tales between the two sides, the first ever official Test match was played during South Africa’s tour of Sri Lanka in 1993. The inaugural encounter at Moratuwa ended in an agonizing draw for the home team while they were nearing a historical win against South Africa. Batting first, Sri Lanka posted 331 runs, spearheaded by Hashan Tillakaratne’s 92. South Africa piled up 104 for the opening wicket through captain Kepler Wessels and Andrew Hudson, and despite being 203/3 at one stage, they were eventually bowled out for 267. Muttiah Muralitharan took 5 for 104. Skipper Arjuna Ranatunga mastered 131 in the second essay where the home team declared on 300/6 setting a target of 365 runs. The visitors were reeling throughout the pursuit at 92/4 and then 199/7 but an outstanding unbeaten 101 by Jonty Rhodes saved the day as they survived on 251/7 at close. South Africa later emerged victorious in the series, winning one of the two remaining games, sealing the 3 match series 1-0. 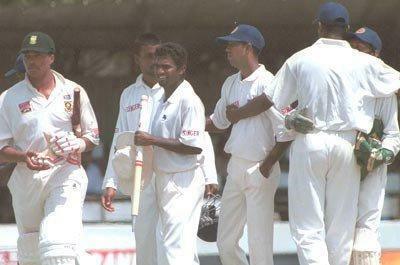 The first win for Sri Lanka against South Africa came in 2000 at Galle, where they won by an innings and 15 runs. In 2006, South Africa’s tour to Sri Lanka consisted of 2 Tests. The hosts won both Tests played at SSC and P.Sara Oval. The first Test at the SSC, which yielded a victory margin of an innings and 153 runs for the hosts, is well remembered for Mahela Jayawardene and Kumar Sangakkara’s record breaking 624 run-stand. 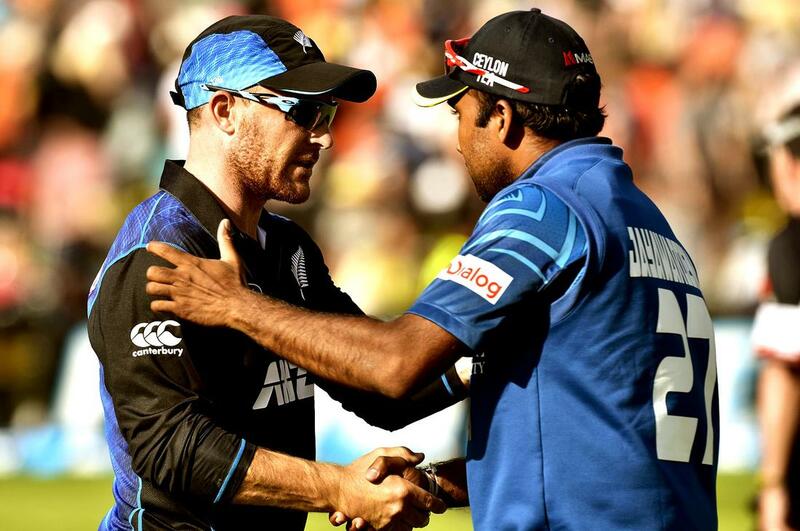 Mahela’s astounding 374 was backed by Sanga’s masterclass of 287. 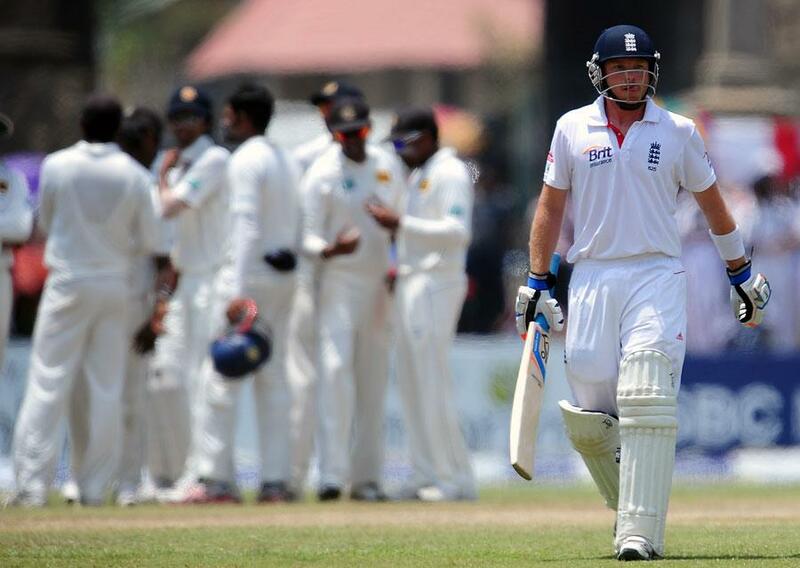 The second Test produced a stirring thriller which Sri Lanka won by a mere wicket. In the first innings, South Africa’s 361 was replied with 321 by the hosts. With a 40 run lead, the Proteas managed to amass 311 for the second innings, setting a target of 352 to win for the home side. Mahela’s 123 braced the entire innings but wickets at regular intervals produced a short scare as the Lions were forced to grapple in the end and ultimately got home with a wicket to spare. In 2011/12, the 3 match series played in South Africa was won by the hosts 2-1. The visitors won the second Test at Durban but both games at the Centurion and Cape Town were won by South Africa. The 2 match series during South Africa’s tour to Sri Lanka in 2014 ended 1-0 in favour of South Africa. Later in 2017/18, South Africa whitewashed Sri Lanka, cruising to a 3-0 win at home. 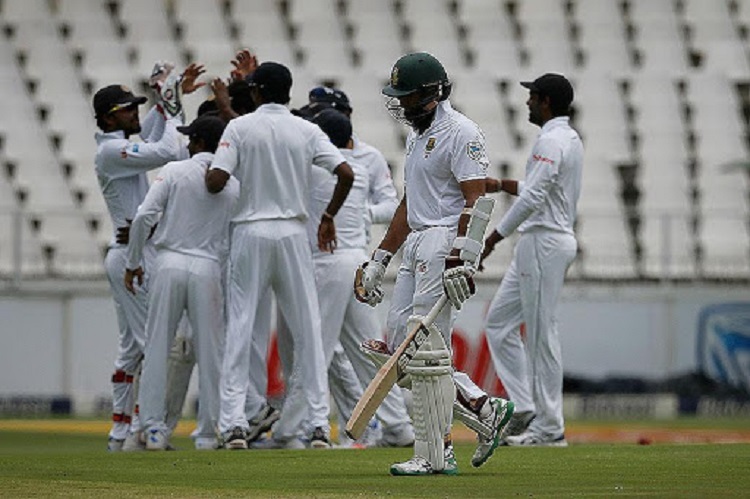 In July 2018, Sri Lanka hosted South Africa and during the 2-match Test series, Sri Lanka comprehensively defeated South Africa 2-0. Since their first Test in South Africa in 1998, Sri Lanka have played 10 Tests and managed a solitary win. Their only victory was a 208 run win which came at Durban in 2011. The stunning feature has been that the encounters have frequently produced results and feature only a solitary stalemate. Sri Lanka have fond memories in Durban, as their only Test victory in South Africa was recorded at this venue in 2011. Sri Lanka have played two Tests at Durban, with one win and a draw. Sri Lanka have played one Test at St. George’s Park, Port Elizabeth. The Test match on Boxing Day 2016, was won by 206 runs by the hosts.